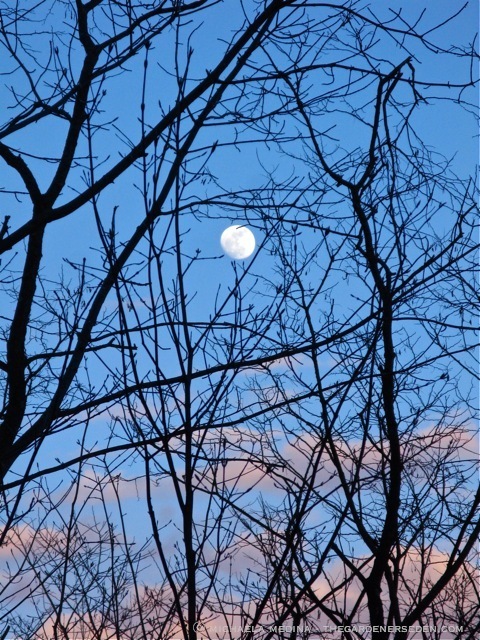 Longtime followers of The Gardener’s Eden will recall that this starry-eyed gardener has a particular fondness for April’s Pink Moon. Previous posts (such as this one, here ) have also included links to Nick Drake’s beautiful song by the same name, and various pink-hued flowers; including the moon’s namesake, phlox. The Pink Moon will be full this Friday —coinciding nicely with the start of Passover and Good Friday— at 3:19pm, and will rise at 7:38pm ET. Of course, at 98% full tonight, the Pink Moon will be a pleasure to watch a bit earlier this evening (rising at 6:20pm ET on 4/5/12). And you can bet I will be raising a glass to the first full moon of this sweet new season (even if it is still just a wee bit nippy outside). For more information on the moon and its phases, and highly entertaining lunar lore, visit the Old Farmer’s Almanac moon page, here. Photographs and Text ⓒ Michaela Medina for The Gardener’s Eden. All photos, articles and content on this site (with noted exceptions) are the original, copyrighted property of The Gardener’s Eden and may not be reposted, reproduced or used in any way without prior written consent. Contact information is in the left side bar. Thank you! 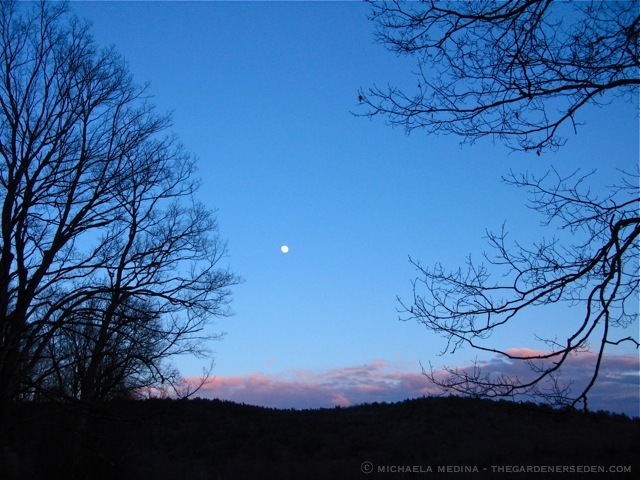 You are currently browsing entries tagged with April’s Full Moon 2012 – The Pink Moon at The Gardener's Eden.